PYC bearing is a specialized manufacturer of ceramic ball,ceramic balls,ceramic diff ball,ceramic bearing ball. The only thing harder than our Ceramic Nitride Pro Series Differential Balls are diamonds. That?s one reason why diamonds are used to polish these balls! They are impervious to chemicals and oxidation. At 79% lighter than Tungsten Carbide yet even stronger than tungsten carbide, these Grade 5 diamond polished ceramic balls provide the absolute lowest in rotational mass for awesome acceleration. Not only that, but these balls lower the coefficient of thermal expansion. This leads to consistent concentricity and smoothness even with increased differential temperatures. 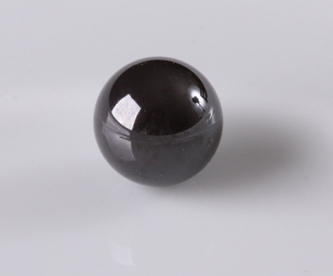 Our Ceramic Nitride balls have a melting temperature of 2552 F! Made from pure Silicon Nitride (Si3N4) material: NOT ceramic coated steel. Each pack is matched to ensure consistent concentricity, roundness, and smoothness among the balls. Our silicon nitride balls are so strong, they will not shatter or melt under even the most extreme racing conditions. These balls are now available in our NEW Ceramic Nitride Pro bearings! You might want to see other rc bearings.